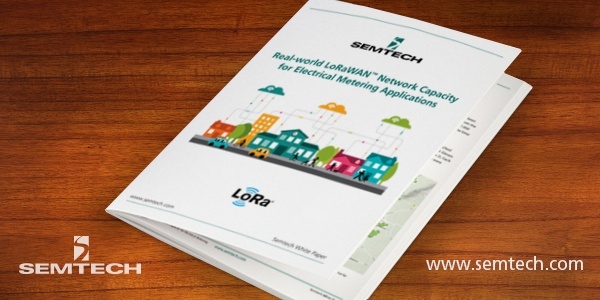 The “Real-world LoRaWAN™ Network Capacity for Electrical Metering Applications” white paper describes a study that was conducted to measure the productivity and efficiency of an average LoRa®-based gateway. To fully test the capabilities of an average gateway, researchers connected electrical meters (EMeters), located mainly in basements and metal cabinets, to a network of eight-channel LoRaWAN gateways and measured their performance. To analyze the scope of electrical meters and their correspondence with an average gateway, researchers located a quaint town in the Calenberger region of Germany that resides at an altitude of 70-90 meters above sea level and consists of short buildings and single-family homes made of brick, concrete and tile roofs. In Gehrden, there are approximately 14,000 homes, 7,000 of which were given the opportunity to have an EMeter installed on their property. In total, about 10,000 meters were deployed in this area. Created by Holley Inc. specifically for the German market, each EMeter equipped with Semtech Corporation's LoRa® devices and wireless RF technology (LoRa Technology) was built with a LoRa-enabled modem chip and antenna. The meter protocol encouraged simplicity with a smaller payload, reduced error probability and reduced complexity. Four times an hour, the EMeters were programmed to send four-byte payloads. Once per day, confirmed uplinks were dispatched. Complete specifications are listed in the white paper, available for download at the end of this blog. For early access to white papers and other exclusive content, join the LoRa Community. Semtech, the Semtech logo, and LoRa are registered trademarks or service marks, and LoRaWAN is a trademark or service mark, of Semtech Corporation or its subsidiaries.